Hello from New Hampshire, USA! 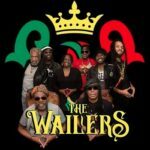 I’m not sure how I happened upon your review, but I’m happy I did as I got to relive my quite emotional experience with The Wailers during Bob Marley birthday week (for the unchristened, that’s the week surrounding 2/6) at a small theater in then-frozen Plymouth, NH of this year. As the show began, the first thing I was happy about was Junior Marvin was not present as I dislike the way his voice warbles at the end of every phrase he sings. The one and only thing I was unhappy about was the absense of Family Man at all, and it took me a few songs into the set to ease myself past that disappointment and instead enjoy things for what they were, which was ridiculously excellent. First of all, the frontman, John David Barrett, was not only spirited and more than adept if not captivating; but he refrained from Marley-isms like grabbing his forehead during songs which was a relief to me as every frontman of this band for years now has relied upon mimicking Bob instead of relying upon vocal power and stage presence to propel them into the audience’s heart. The true heart and star of the show was none other than Don Kinsey, of Peter Tosh’s band Word, Sound & Power plus studio and live giant in the reggae world for years before and following his association with The Steppin’ Razor. I had been hoping to see the great Don Kinsey for years and the man did everything but disappoint from his guitar prowess to his obviously genuine love of the music and his adoring audience hanging on his every bright smile, gently-placed guitar phrase, or blistering solo. Unlike the show you experienced, Steve, the wonderfully lengthy set did continue on and lead up to a brilliant and show-stopping Exodus, highlighted by mesmerizing drum and percussion production which I can only describe as otherworldly. I’ve been to dozens upon dozens of live music shows but have never seen a band lean as one into a vibe quite like that, all seriously grooving in concentration and utter enjoyment of this musical perfection they were creating. Words won’t do justice. On my way back to Earth, and passing by the sound guy, I told him his work was impeccable and thanked him for truly being part of the band, to his bright and thankful smile. Thanks again for your review, Steve. Let’s hope these true believers and emissaries of Bob Marley’s legacy play as long as they want to!